The goal of the Traffic Operations Center (TOC) is to improve the safety and efficiency of Utah's highway system for the traveling public with the use of technology and improved communication. We are interested in hearing your comments or questions about any problem that you see that affects traffic flow on Utah's highways. If you witness an emergency situation such as a serious traffic accident or if you require emergency assistance on the road, please call 911. You may report any other non-emergency traffic problem to the Traffic Operations Center at 801-887-3700, 7 days a week, from 6 AM to 10 PM. Outside of the 801 area code, you may call toll free at 1-888-511-8368. We are interested in hearing from you about any problem that you see that affects traffic flow on our state's highways. For example, this could include disabled vehicles, motorists requiring assistance by the side of the highway, debris in the roadway, malfunctioning traffic signals or ramp meters, or inefficient traffic control in a construction zone. We will ensure that your complaint is passed on to the right agency for response. Knowing about traffic problems also allows us to alert other motorists through the use of our electronic signs, the 511 traffic hotline, and the UDOT Traffic website. 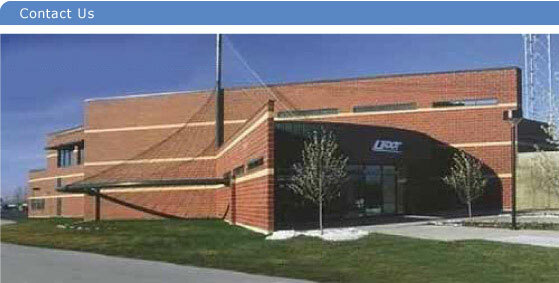 UDOT offers free tours of the Traffic Operations Center by appointment. Tours include a visit to the electronics laboratory where we explain how traffic signals work and to the control room with views of the traffic camera displays. Our operators will demonstrate the software that remotely controls the cameras and the electronic signs on the freeway and explain the computerized traffic signal system. Tours last approximately 45 minutes and may be of interest to scout groups, church youth groups, and school or business groups with an interest in technology or traffic safety. Tours are usually given during normal working hours Monday through Friday, but may be given in the early evening 6 PM to 7 PM upon request. To schedule a tour, please call UDOT at 801-887-3710.